We find attending the annual NEHA Conference every year especially gratifying. It allows us the privilege of listening to knowledgeable food safety experts share their stories of how Cambro products help them in their efforts to improve food safety in commercial kitchens as well as off-site feeding events. 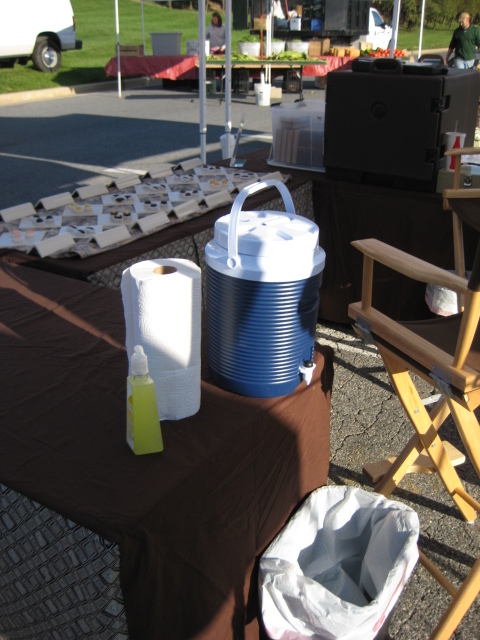 Every health inspector that stopped by our booth was fascinated by our Hand Washing station. The word “fascinated” is no exaggeration. Even our team was taken aback by their reaction but we realized that their response was the result of a major risk factor contributing to foodborne illness: Improper Hand-washing. The majority of the inspectors that stopped by our booth shared their concerns with the lack of hand-washing equipment at off-site feeding events. “As in any food service operation, employers must provide their staff access to proper hand washing stations, including off-site feeding events. Often times we see make-shift, inadequate hand-washing stations that will not do the job of killing bacteria,” shared Michele R. DiMaggio, R.E.H.S., Supervising Environmental Health Specialist with Contra Costa Environmental Health. 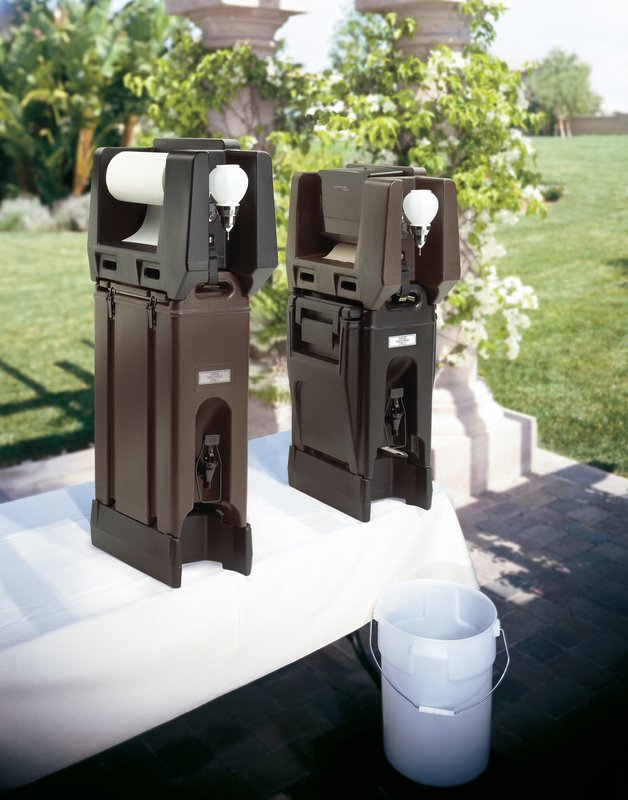 The problem with most make-shift hand washing stations is that the container used to store the water is not designed with an internal thermal lining or insulated wall to help retain the water at the required temperature (recommended at 98°F – 110°F). Hand-sanitizer alone will not do the trick. This and also that not all of the necessary items are provided. Michele shared with us a list of things that the health department typically requires for a hand-washing station to be acceptable. The FDA recommends the water temperature be between 98°F – 110°F or as hot as can be comfortably tolerated. Hand-washing as easy as singing your ABC’s! The Cambro Handwash Station is a convenient solution to help meet health department hand washing requirements. 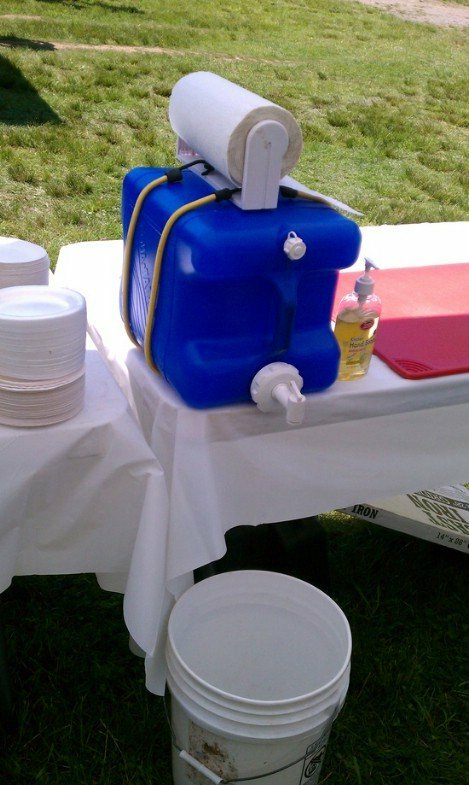 Off-site feeding vendors and caterers can easily set up a hand washing station anywhere by simply attaching the portable Cambro Handwash Accessory to a Cambro Beverage Server or “Camtainer®” – perfect for off premise caterers, concession stands, military operations, fairs, and local events! We feel privileged to have been in attendance at this year’s NEHA AEC and to have the opportunity to learn more about the critical food safety concerns facing our industry. We are happy to share the knowledge with our loyal partners as we strive to keep a close finger on the pulse of these pressing issues so that we may continue to evolve our food safety product solutions tomorrow.